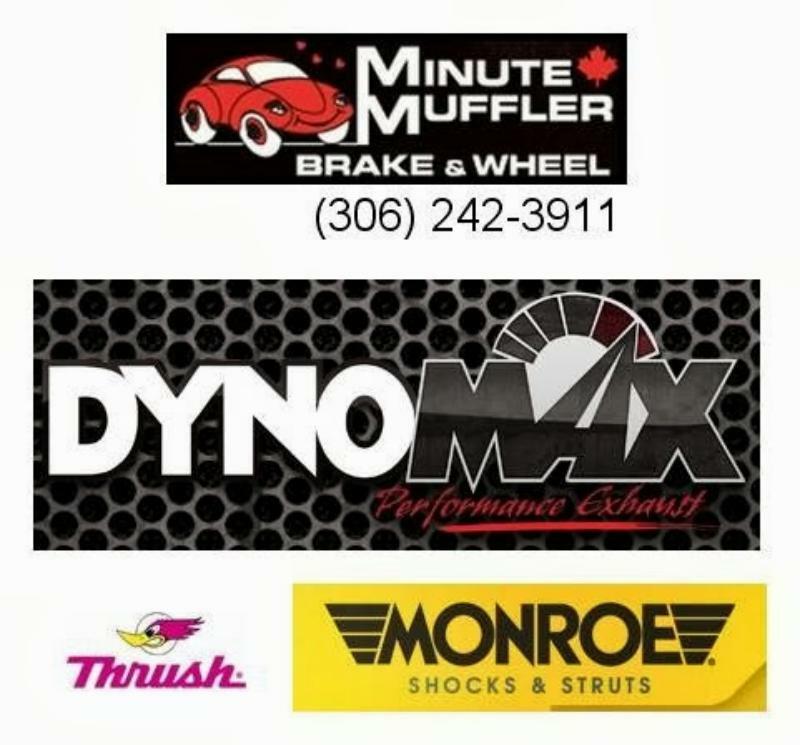 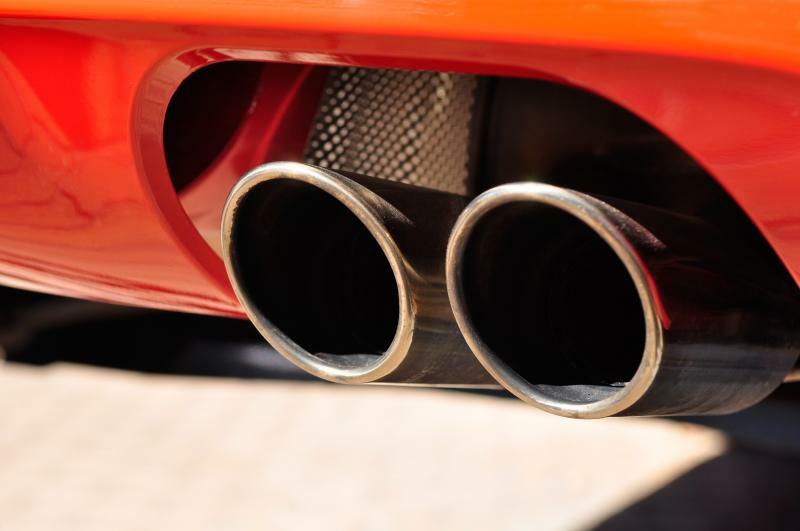 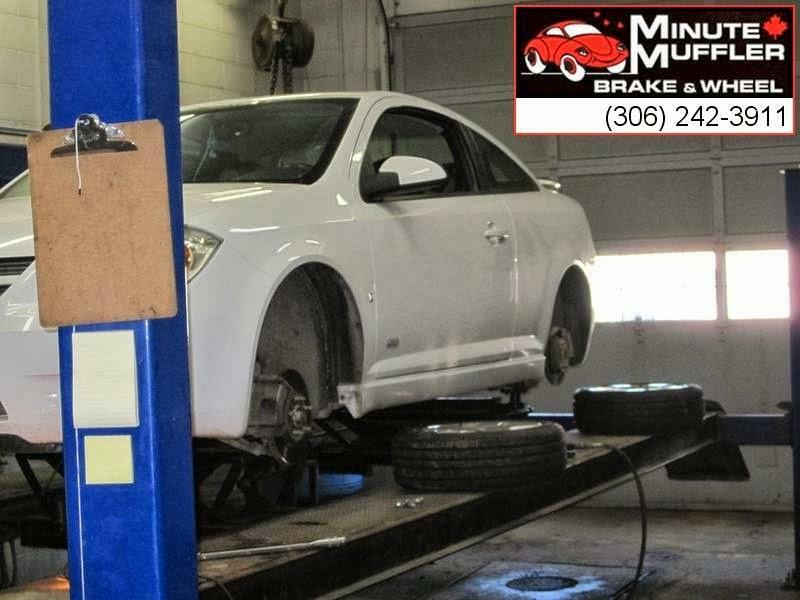 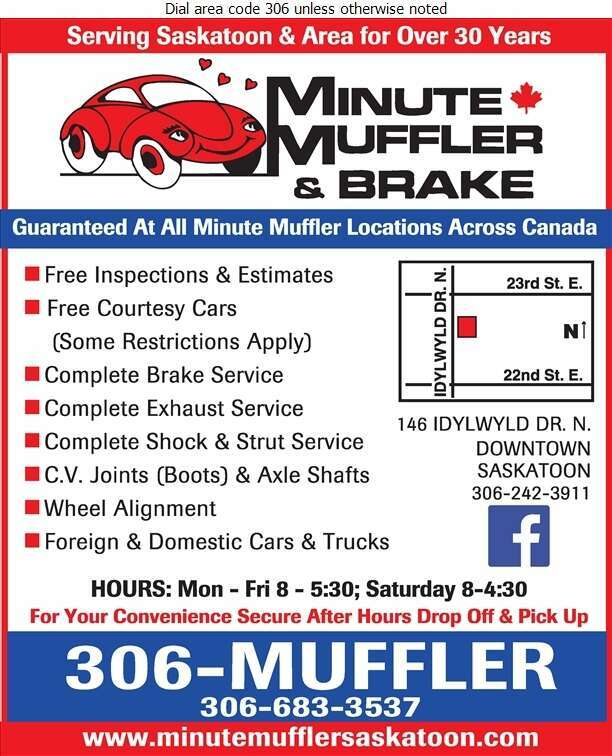 Minute Muffler & Brake primarily serves as a specialized muffler, brake and performance exhaust center, however we also offer highly quality service in shock absorbers, suspension systems, struts, and other services. 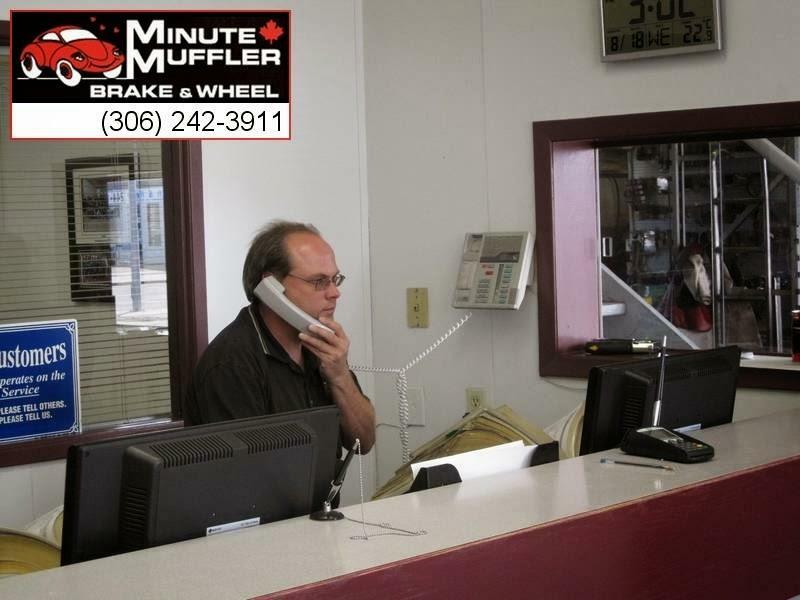 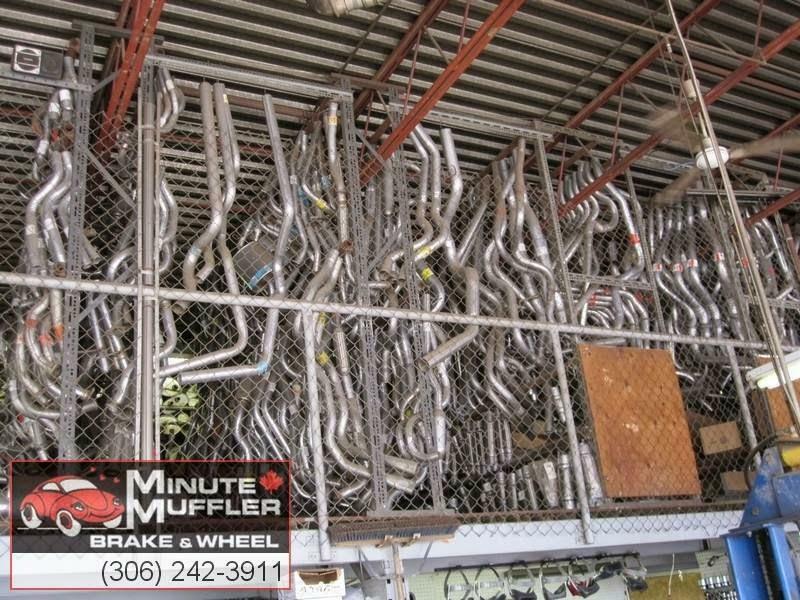 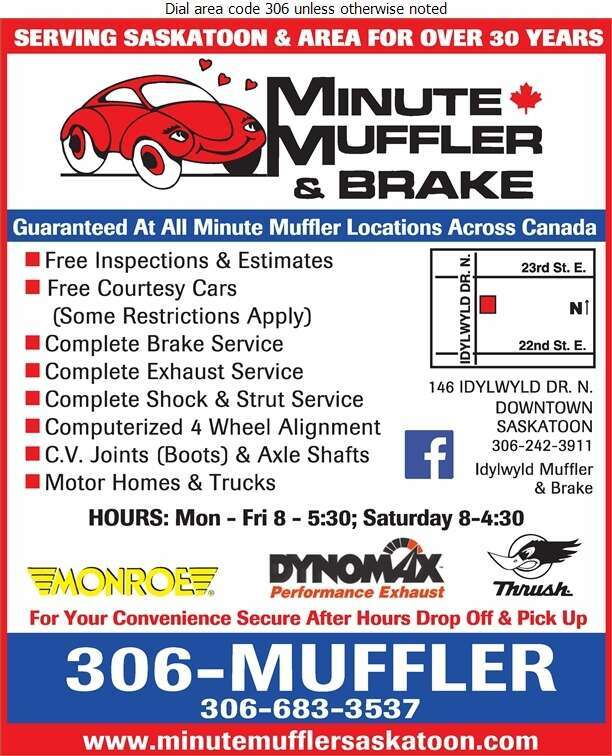 The first Minute Muffler shop was opened in 1969, and due to our overwhelming popularity over 90 Minute Mufflers have been opened up across Canada since our opening day. 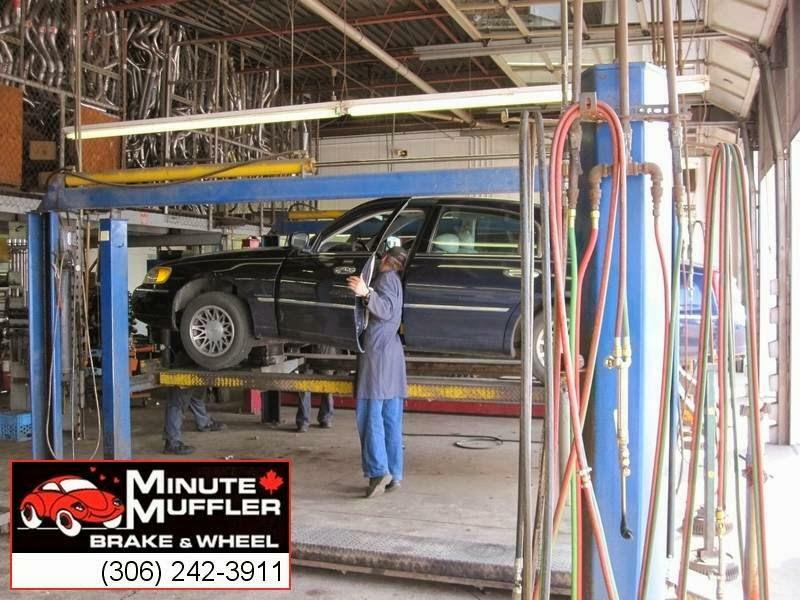 More specifically we have been serving in the Saskatoon area for over 20 years. 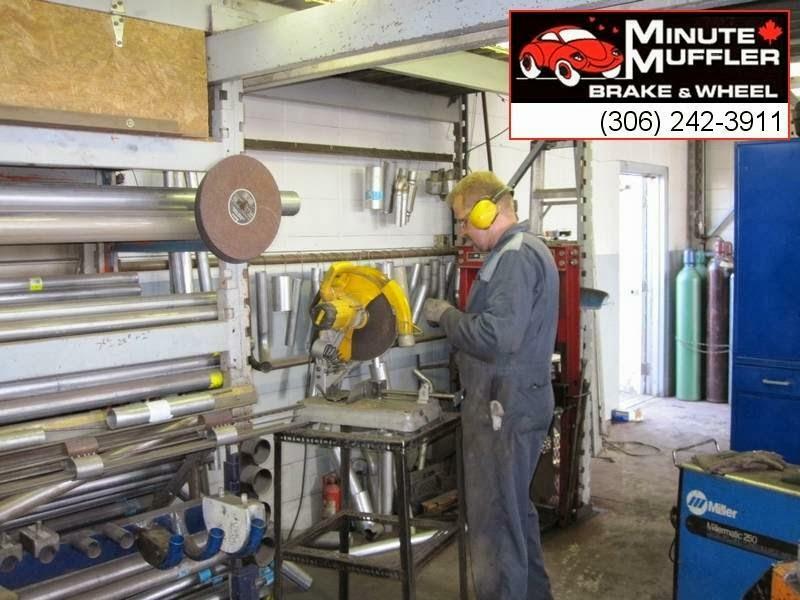 Our goal is to keep our customers safe on the road by ensuring that we service your vehicle to optimal specifications. 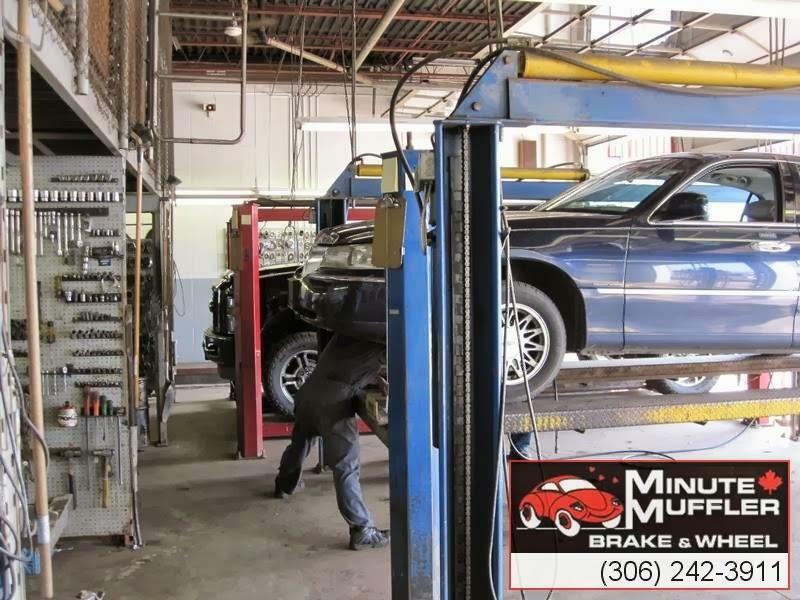 When your vehicle is brought in we are confident that we bring the best possible services done correctly, as we value you as a customer. 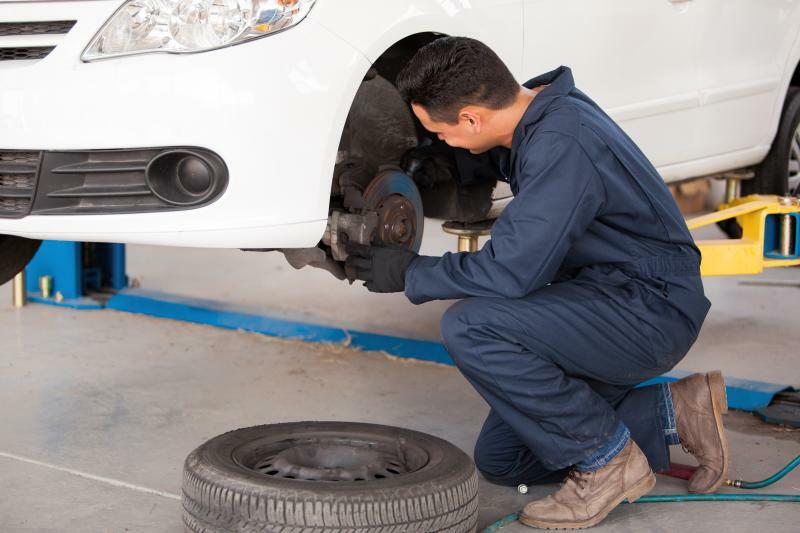 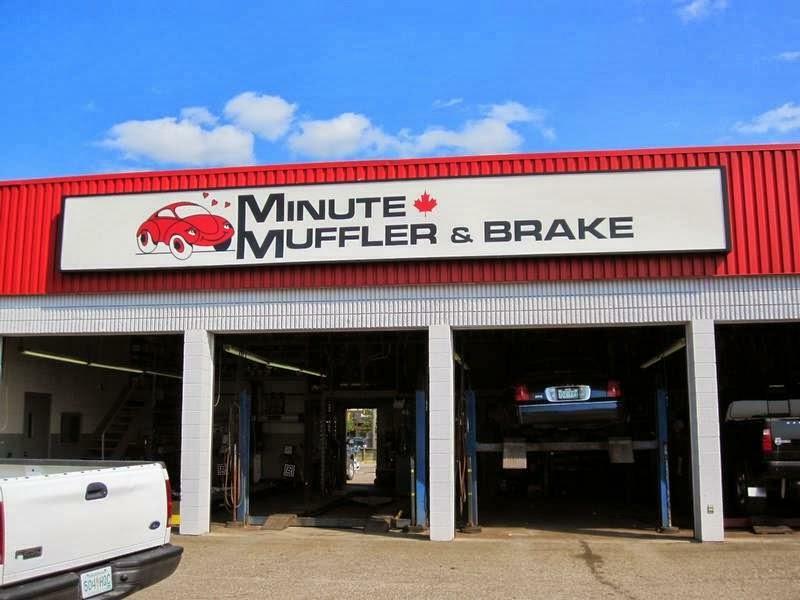 Come to Minute Muffler & Brake for our specialty auto services!